What is the “revitalization of the human spirit” and how does it relate to events, tradeshows and conferences? 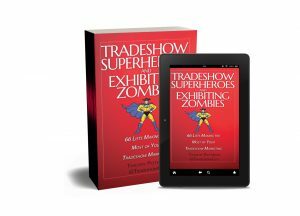 Andrew Bennett of the Bennett Performance Group joins TradeshowGuy Tim Patterson on this week’s vlog/podcast to discuss exactly that, along with many other reasons that events are thriving, and in fact, will likely never go away. Also, a tradeshow tip of the week. And this week’s ONE GOOD THING: Chris Ducker’s Youpreneur podcast, etc. Good stuff! The article I posted last week on influence got me to thinking: how does influence work, how do people wield it, how do people gain it? And this week’s ONE GOOD THING: the ScannerPro app. Lots fun in this week’s podcast/vlog. Robert Middleton of Action Plan Marketing sits down to discuss the Five Pillars of Marketing for Self-Employed Professionals. So there’s that. 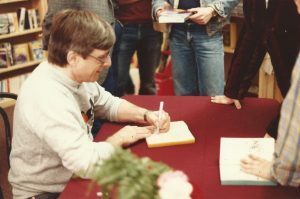 You’ll also hear the story of how a search for a Harlan Ellison photo led to an article on Frank Sinatra which, well, you’ll just have to watch or listen. On the podcast you’ll hear me tell the story of how, in looking for a couple of old photos from the 80s. 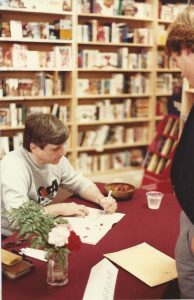 It was when author Harlan Ellison did a book signing at Powell’s Books in Portland. I put on my sport jacket and headed down with a couple of items to have him sign. From that search came a moment when I uncovered what Wikipedia wrote about a mid-60s article on Frank Sinatra. Based on reading that article, I decided to make it this week’s ONE GOOD THING: Frank Sinatra Has a Cold. What else is there to do on a Labor Day except ponder Space and Time, right? And add in a Tradeshow Tip of the Week. 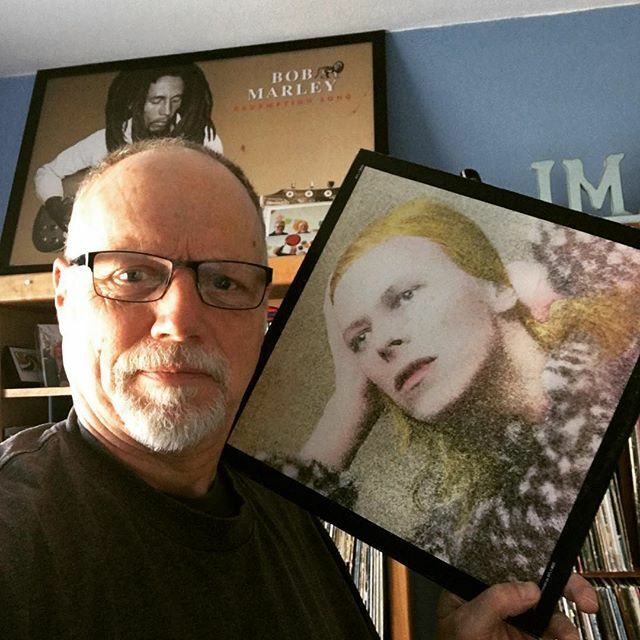 This week’s ONE GOOD THING: Playing MUSIC. TradeshowGuy Monday Morning Coffee, August 20, 2018: Vacations! On this week’s TradeshowGuy Monday Morning Coffee, I plunge headfirst into a cold and bracing look at vacations, and how they can no only recharge your batteries, but can increase a company’s productivity – by making you leave for a week or three every year! Also, be sure to listen for the Tradeshow Tip of the Week. And this week’s ONE GOOD THING: the Pebble Beach concours d’elegance. This week’s ONE GOOD THING: Bon: The Last Highway by Jesse Fink. Without really knowing it until decades had passed, I became a lifelong learner at an early age. Today’s podcast/video blog lets me get into that a little bit with some of the things I’ve learned over the years about lifelong learning! No guest on this week’s vlog/podcast – but a look into some of my best bosses, and a deeper look, thanks to Kevin Daum at Inc.com, on what it takes to be a really great boss. Maybe even an amazing boss! As for this week’s ONE GOOD THING, check out Casey Neistat’s YouTube Channel. Good stuff!